Minimum Recommended Wheel Diameter (in) 15 in. Rear Rotor Thickness (in) 0.938 in. 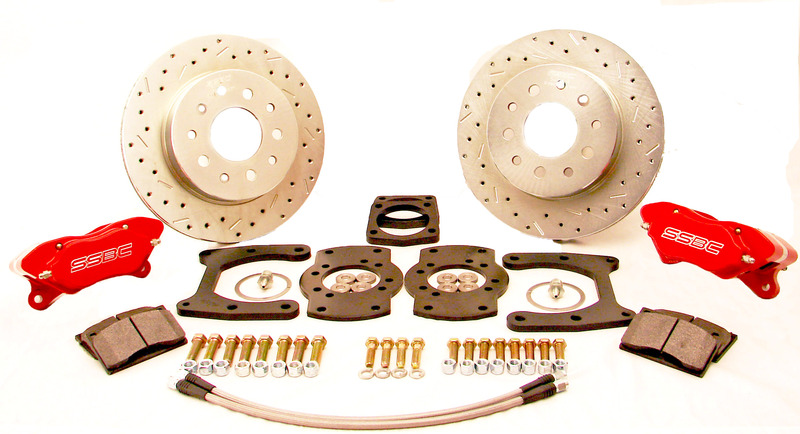 Competition rear drum to disc brake conversion kit with 11.25 inch rotor. Has no parking brake. Advanced technology has allowed SSBC to develop a caliper that is lightweight, quiet, and durable enough to outlast and out perform the rest. Replacement brake pads are available at any local parts store and are easy to replace without removing the calipers. 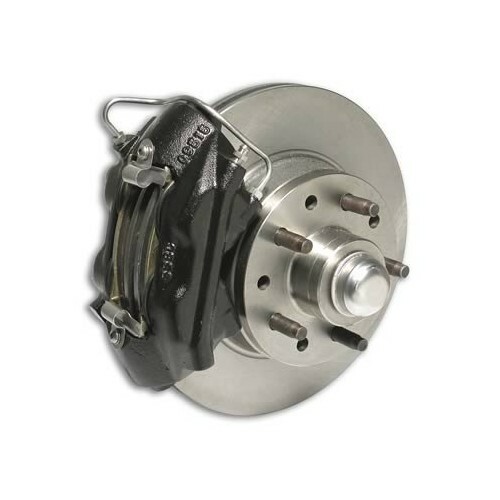 Competition series disc brake conversion kit includes street 4 piston aluminum calipers with 35 millimeter stainless pistons, performance pads, mounting brackets, Big Bite cross drilled rotors and hardware. The calipers come with clear anodized finish. Optional polishing or powder-coating is available.